It isn't essential to be a fan of Edgar Allen Poe's uncanny writings to enjoy pianist Peter Madsen's musical tribute to the author, Never Bet the Devil Your Head. 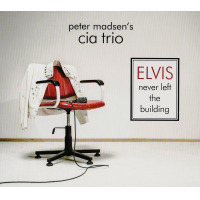 But readers familiar with Poe's disturbing fiction will absolutely appreciate the thoughtful touches found in abundance on Madsen's album. 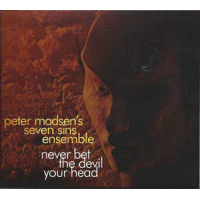 With the help of the Seven Sins Ensemble, an Austria-based octet Madsen first utilized on 2012's Gravity of Love (also on Playscape) that includes a string quartet in addition to standard jazz instrumentation (piano, bass, trumpet, drums), Madsen has a terrific opportunity to explore the darker recesses of the human imagination with style and verve. Perhaps the most surprising thing about the album is how relatively "unscary" it is. 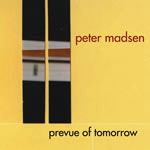 Rather than choose obvious devices designed to bring about fear and trembling, Madsen instead goes for a subtle approach intended to unsettle: to evoke an understated feel of something being not-quite-right. It's a sensation that Poe was, of course, an expert in generating. 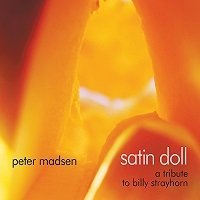 So for example, on the ten-minute opener, "The Raven," Madsen allows the unaccompanied strings to set the mood with just a trace of dissonance and a gradual surging of ominous momentum, paving the way for a hard-driving groove from the rhythm section, with the strings complementing the other players perfectly to create some of the album's most engaging music. It's not exactly frightening but there's enough weirdness to sustain the track's inventiveness for the duration. 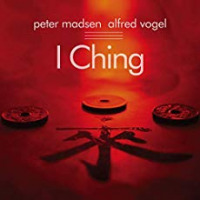 This is a first-rate ensemble, and the strings are integral to the project: they relish their solo space just as much as Madsen himself or trumpeter Herbert Walser, whose solos shine with clarity and vigor throughout the album. But as strong as the musicianship is, it's the care Madsen put into the compositions themselveseach based on a Poe storythat makes the record special. The pieces feel unique, with just enough structural complexity to serve as ideal vehicles for exploring Poe's bizarre thematic world. In commenting on the creation of each piece, Madsen explains how he read through its corresponding story first so that he could "capture the feelings and ideas" of the text. Each of the ten tracks bears the traces of that creative process, whether in the ethereal reverie of "Dream Within a Dream," with an especially haunting muted solo from Walser; the creeping menace of "Tell-Tale Heart;" or the album's captivating closer, "Descent Into the Maelström," where Madsen's exuberant and tumultuous solo summons the piece's evocation of a hurricane destroying a ship at sea. Madsen's most striking choice occurs on "Cask of Amontillado." One of Poe's truly troubling stories, it involves a man gaining vengeance on an adversary by burying him alive; but Madsen gives it a strangely bouncy and playful rhythmic treatment. Even here, however, Madsen's approach works well, and perhaps even more so by avoiding a clichéd strategy. For Madsen, as with Poe, life's mysteries are most powerfully revealed through whatever is most unexpected and unconventional.